Recently Jordan Signs Sydney was contacted to carry out the manufacture of some large polystyrene foam numbers for the celebration of 100 years of Canberra. The client had been through an exhaustive list of companies in the ACT in an effort to secure a contractor to carry out the task and was starting to get frustrated with no company willing or able to carry out such a task. They contacted Jordan Signs and within a few minutes we were able to re-assure them that this could be done. After much set up and minipulation of the large blocks of foam the cut outs were completed and ready for transport. The client had organised their own transport however that company let them down and sent them into a spin. 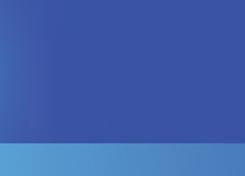 We were able to organise a carrier that we have used extensively and had the job delivered by 9am the following day. The most nerve racking part of the project was that the client was getting the plywood faces cut in the ACT by a seperate contractor. We were able to co-ordinate so each face lined up perfectly and it all went off like a treat. 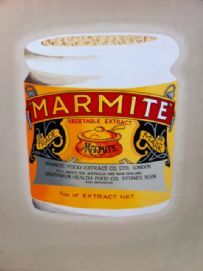 We often get asked if we can do something that is a little different or unusual. With signage being such a creative and artistic profession we love to stretch out and showcase our talents in other areas. 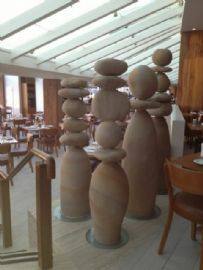 We were contracted to carry the manufacture of some sculptures for a restaurant in Darling Harbour Sydney. Our involvement was to create the shapes from some sketches to which the client was to add their finish and install. I was pretty chuffed with the end result. With one toddler in hand and baby number 2 on the way, the client (a young mum), decided to upgrade the toddlers room with a new design. The client had picked up some rusty old fabricated steel letters from a market in Melbourne and engaged someone spray them white. As the preparation was not done correctly the paint failed and was flaking off everywhere. We advised the client that we could sandblast the letters in house, and paint them correctly for a long lasting finish. These were then mounted onto a piece of clear acrylic and secured to the freshly painted wall with some stand-offs. The daughter and the mum loved it! People who love cars with a passion like to impress with something that makes their car stand out and be different. 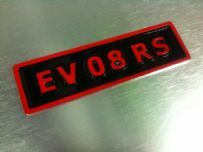 This client wanted a personalised plate for the rocker cover of the engine on his show car and we were only to happy to meet his needs. Jordan Signs Sydney was proud to be involved in this community project and we have now participated with each of the years that it has been organised. This year it was Jake and Brian that ventured to Portland along with input from Paul who was involved with preparation work for the weekend. This year we teamed up with Christine Witty from Christine`s Signs at Parkes NSW as well as Lance from Grafton Signs NSW. This type of weekend is all about helping a good NSW country town lift its profile by creating a tourism point of interest in the area. After a great effort by the students and teachers of St Paul of the Cross Catholic School Dulwich Hill, they set out to put on some finishing touches on the sacred space. They had created this marvelous prayer space and required and aged sign to complement it. 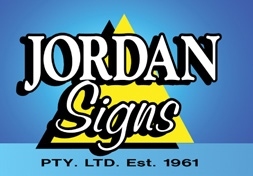 They contacted Jordan Signs to come up with something that would suit the area and were blown away with the result. It is now takes pride of place in the students area. 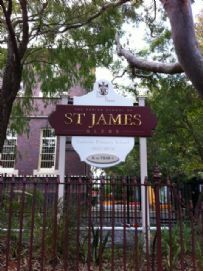 Jordan Signs was invited to tender for the new entrance sign for St James Catholic School Glebe. 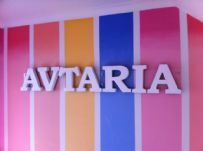 The brief was to come up with a design that fitted in with the schools architecture and colour scheme yet make their sign lift the profile of the school. After submitting a design followed up with a couple of minor tweaks the concept was taken up. As with all schools funding was an issue however the school community was so focused on getting a good outcome that they went all out to make sure it happened. 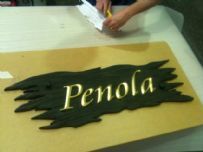 They were really taken with the fact that we could produce a traditional gold leaf sign that would showcase what they wanted the face of their school to look like. With the big fund raising night drawing closer, Jordan Signs Sydney was contacted by the Garvan Institute to manufacture some lettering to be used in a free standing situation on the stage area. These letters needed to be light, easy to set up and stable enough so they would not topple over. With some creative base design the task was completed and the night went off without a hitch.